You never run out of targets when you’re the world’s greatest assassin, so John Wick: Chapter 3 — Parabellum will bring Keanu Reeves‘ legendary hitman back to the screen for more bullet-riddled adventures on May 17. We already know some of the characters who will and won’t be returning for the third installment of the franchise in prior updates, and now we have some of the first footage, too. John Wick: Chapter 2 director Chad Stahelski will return behind the camera for Parabellum, and screenwriter Derek Kolstad is confirmed to be penning the script for the film, after having written the first two installments of the series. Here is everything we know about John Wick: Chapter 3 — Parabellum so far. Fans of the franchise who might be worried about the fate of the dog last seen running along with John Wick at the end of the second film need not be concerned: A clip from the film reveals that his new pup is going to be looked after. Well, that answers that burning question, at least. A new trailer for the film was released in March, and offered a mix of gun fights, dogs, and even a Matrix reference. The first trailer for John Wick: Chapter 3 – Parabellum (see above) premiered January 17, just a day after Lionsgate teased its arrival with a brief teaser. Just a day before the full trailer was released, the first, official footage from John Wick: Chapter 3 was revealed via a brief teaser video that announced when the full-length trailer would debut. Some of the first studio photos from John Wick: Chapter 3 were released in December. Along with featuring Reeves as the titular assassin along with Halle Berry as Sofia, whose character shares an affinity for dogs with John Wick. When John wick returns to the screen in 2019, one antagonist he won’t be facing is Cassian, the assassin played by Common in the second film. 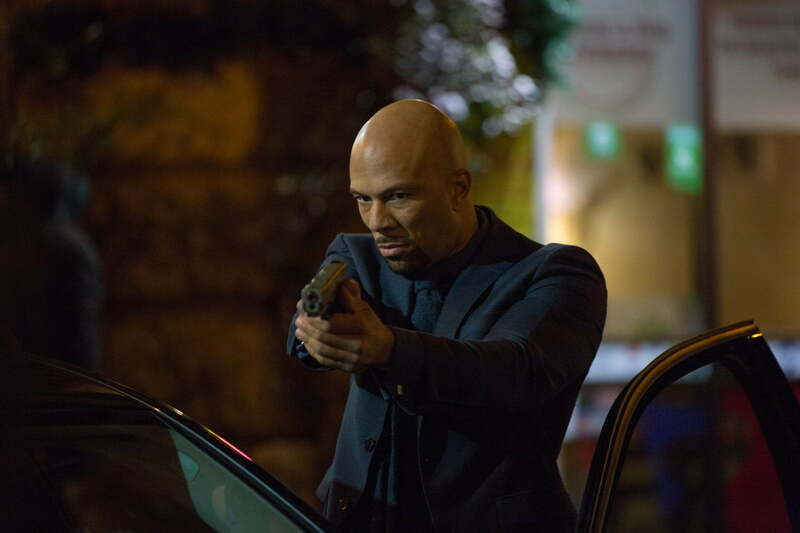 In an interview with ComingSoon, Common confirmed that his character — who was left to an uncertain fate in John Wick: Chapter 2 — won’t be back for another round with Reeves’ titular hitman. 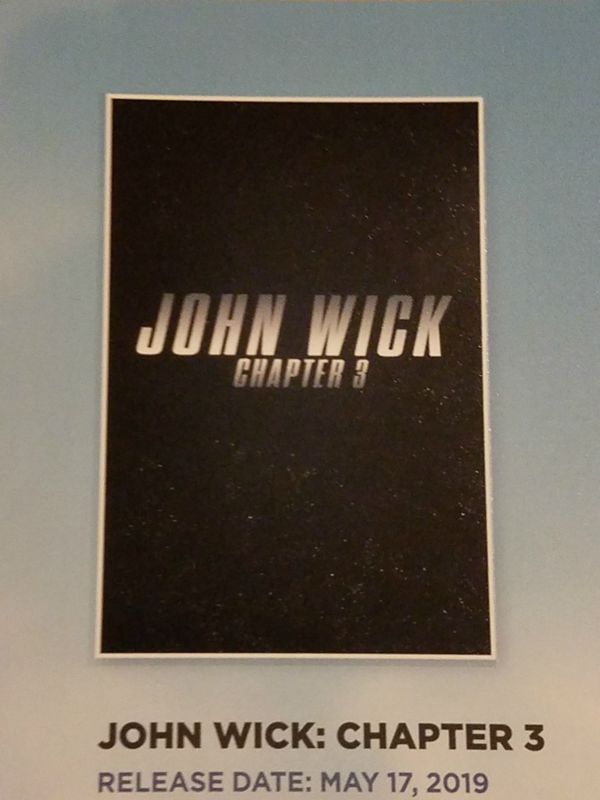 Reeves’ popular hitman made an appearance at London’s annual Brand Licensing Expo in early October, with Lionsgate revealing a logo for John Wick: Chapter 3 on the show floor. The logo appears in a gallery of photos posted on Instagram featuring several upcoming movies promoted at the show. Two fan-favorite characters from John Wick and John Wick: Chapter 2 will be back for the third film, but it’s possible that they might not be on the same team as the titular assassin this time around. This marks the first time the two characters will appear on the same screen together, and their meeting could portend either very bad things for John Wick or a pair of powerful allies in his corner. One video posted on Twitter shows Keanu Reeves galloping through the crowded city streets on a horse. Another video appearing on Instagram appears to show Laurence Fishburne’s character in a dangerous encounter with Mark Dacascos’ bald, sword-wielding character. And yet another Twitter video shows Reeves taking a break on set while wearing hair clips and having a smoke. No surprise: Reeves even looks cool while wearing bright yellow hair clips. Some behind-the-scenes video from Parabellum found its way online in mid-June, and it features Reeves facing off against another actor — reported to be Mark Dacascos — in Manhattan’s famous Grand Central Terminal. The video was posted by Hollywood Pipeline, and also includes some footage of Reeves practicing a knife-fight sequence with another actor. Halle Berry officially announced her involvement via Instagram on May 21, letting fans know she was joining the cast of the film with a message written on a piece of stationary from The Continental. Her character was identified a few weeks later on the official Twitter account for John Wick 3: Parabellum, which posted a photo of Berry in character as “Sofia,” who apparently has a few things in common with John Wick: An affinity for dogs and the color black. In addition to a motley crew of returning cast members (see below), several additions to the Parabellum cast are generating considerable buzz. A tweet from the official @JohnWickMovie account announced the casting of four actors: Anjelica Huston (The Addams Family) as the Director of the High Table, Asia Kate Dillon (Orange is the New Black) as The Adjudicator, Jason Mantzoukas (Big Mouth) as Tick Tock Man, and Mark Dacascos (Cradle 2 The Grave) as Zero. We’re guessing the latter two characters are assassins. Oscar-nominated cinematographer Dan Laustsen (The Shape of Water) confirmed that production is indeed underway on John Wick: Chapter 3 — Parabellum with a pair of photos he posted on Instagram from the New York City set of the film. Although the photos don’t reveal much about the movie (other than its working title, “Parabellum”), one thing does seem certain: Like the two films that came before it, the third installment of the franchise will continue to make ample use of shadows and neon. John Wick studio Lionsgate put the third film front and center during its presentation at CinemaCon in April 2018, and revealed the first, official synopsis for John Wick: Chapter 3 — Parabellum. John Wick (Keanu Reeves) is on the run for two reasons … he’s being hunted for a global $14 million dollar open contract on his life, and for breaking a central rule: Taking a life on Continental Hotel grounds. The victim was a member of the High Table who ordered the open contract. John should have already been executed, except the Continental’s manager, Winston, has given him a one-hour grace period before he’s “excommunicado” – membership revoked, banned from all services, and cut off from other members. John uses the service industry to stay alive as he fights and kills his way out of New York City. The summary of the film’s plot was accompanied by a fairly straightforward promotional poster for the film that was glimpsed by Collider during the event. In January 2018, a rumor began circulating that actor Hiroyuki Sanada had joined the cast of Parabellum to play the role of the film’s primary villain. The rumor speculated that Sanada would play the head of a Japanese crime syndicate — possibly the Yakuza. The rumor regarding Sanada remains unconfirmed, but it’s also been reported that the film is casting a large number of Japanese actors before it begins filming, lending some support to the initial rumor. 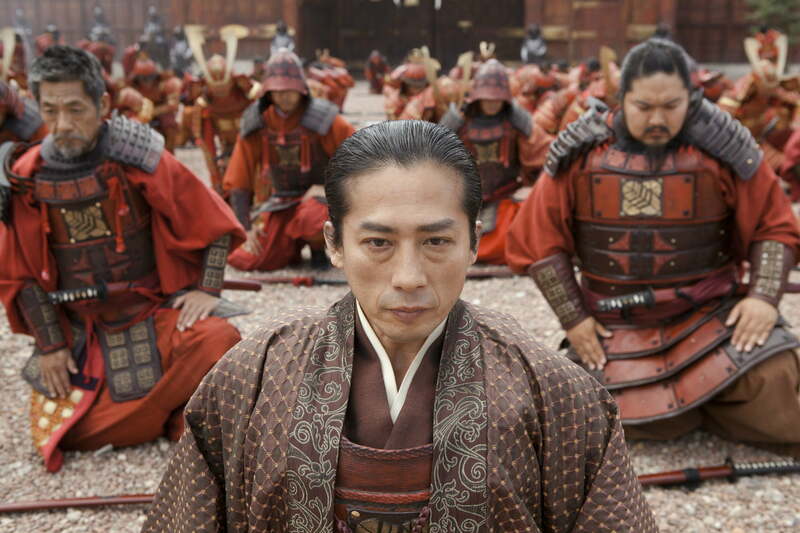 If all of the rumors prove true, it will be a reunion of sorts for Sanada and Reeves, who co-starred in 2013’s 47 Ronin. Sanada will also appear in the second season of Westworld and previously appeared in The Wolverine. The third installment of the John Wick franchise will hit theaters in 2019, but cameras are expected to begin rolling near the end of April, according to an unconfirmed report. A widely circulated report from Omega Underground indicates that the studio plans to begin production on Parabellum on or around April 26. That mark is a bit earlier than initially expected, and the report goes on to suggest that filming will occur in New York City and Montreal, with the latter city playing the role of the former (much as it did in John Wick: Chapter 2). John Wick: Chapter 3 — Parabellum was first reported to be entering the pre-production phase in December 2017, with Omega Underground reporting that Kolstad had finished his script and the project is gaining momentum. Although the film still doesn’t have a director attached, casting could begin in the near future — particularly if the studio plans to bring Stahelski back. Lionsgate announced the release date for the third chapter of the John Wick franchise in September 2017. At the moment, the John Wick sequel is the only movie scheduled to premiere that weekend, but that’s likely to change as the 2019 calendar begins filling up. At this point, it’s unknown which cast members will — or even can — return from the previous two installments of the franchise, given the high body count of the sequel. Reeves’ titular assassin, however, will likely be joined by returning cast members Ian McShane, Lance Reddick, and John Leguizamo, who all played key roles in the first two movies. 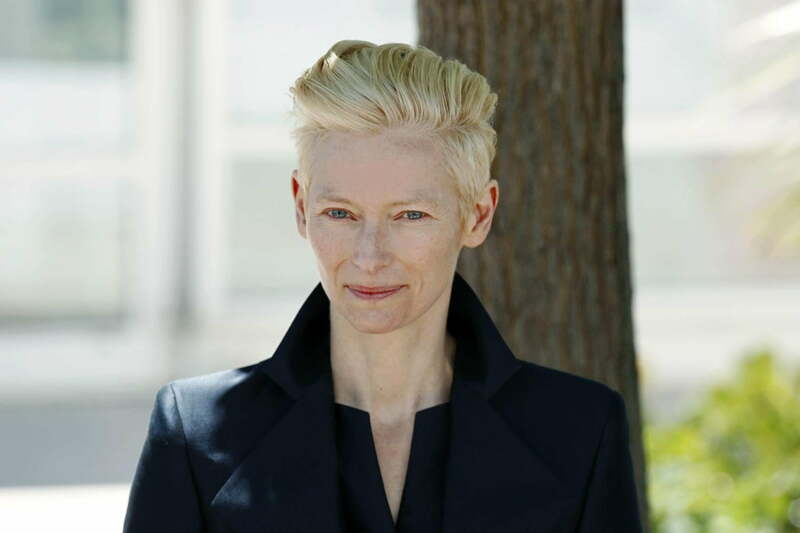 Reeves has also indicated that he’d like to bring Oscar-winning actress Tilda Swinton (Doctor Strange, We Need to Talk About Kevin) into the franchise. Speaking to People in September 2017, Reeves welcomed a reunion with Swinton. Details are scarce regarding the plot of Parabellum, but the second film in the franchise ended on a cliffhanger of sorts, with (spoiler alert) John Wick on the run from the global guild of assassins he once belonged to, with a massive bounty on his head. “Tell them … tell them all … whoever comes, whoever it is, I’ll kill them. I’ll kill them all,” he tells McShane’s character before running off into New York City with his dog. 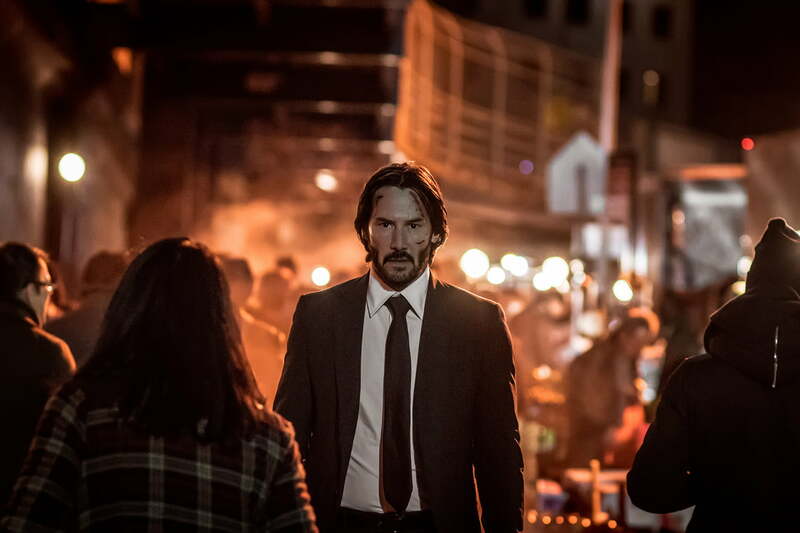 Various reports suggest that the film could send John Wick to Tokyo or Jerusalem — something Reeves himself hinted at — or possibly make his way to the United Kingdom or Asia. While doing interviews for the second film, Stahelski indicated a desire to explore John’s origin story a bit deeper in the third film, as well as the hierarchy of the criminal underworld that was teased in John Wick: Chapter 2. One of the surprise hits of 2014, the first John Wick movie raked in $43 million domestically and $88.7 million worldwide with its story of a retired hitman who’s drawn back into his violent past life when a pair of petty criminals with powerful connections push him too far. The film was made for just $20 million and received glowing reviews from professional critics and general audiences alike for its innovative action sequences, making it a surprisingly successful project for co-directors Stahelski and David Leitch. A sequel was announced shortly thereafter, and 2017’s John Wick: Chapter 2 was an even bigger hit, earning $92 million in U.S. theaters and $171.5 million worldwide on a production budget of $40 million and even more positive reviews than its predecessor. Updated on April 19, 2019: Added a clip from the film.